There is no substitute for gorgeous and glowing skin. It takes a lot of patience, effort, time, and use of great skincare products. Healthy beaming skin is so rewarding. You not only look good but also feel good. One of the options that can help you skin get the glow and attain a lighter skin tone is Glutone 1000 and Escor Z and today we are going to discuss about these two. Let’s begin with Glutathione which is often referred to as “master antioxidant” is own body antioxidant. It is a critical body antioxidant that is optimum health of everybody cell. It is very crucial and important for detoxification, healthy skin, and healthy immune function. The Glutathione in the body declines with age and therefore oral supplementation of Glutathione is very important in order to ensure healthy aging. This works through encouraging of pheomelanin (lighter melanin pigment) over eumelanin (darker melanin pigment). Glutathione, which is consumed orally, effectively lightens the skin and with regular consumption of this product helps in boosting immunity, stamina, and detoxification. 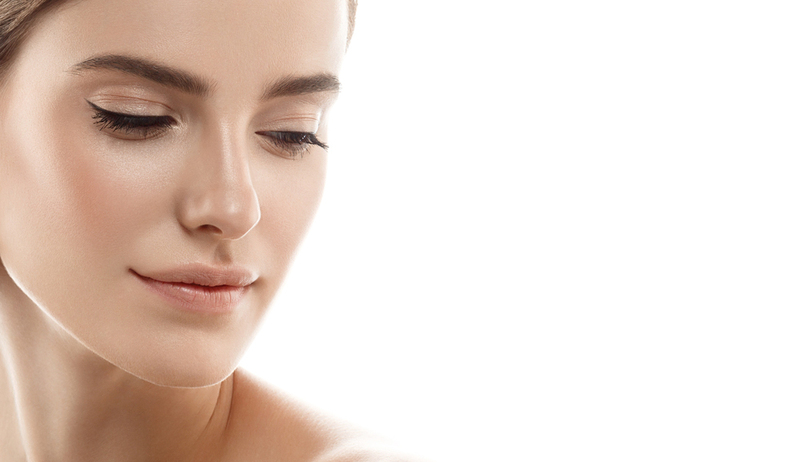 Glutone products are designed in order to harness the glowing of the skin, which are benefits of glutathione. 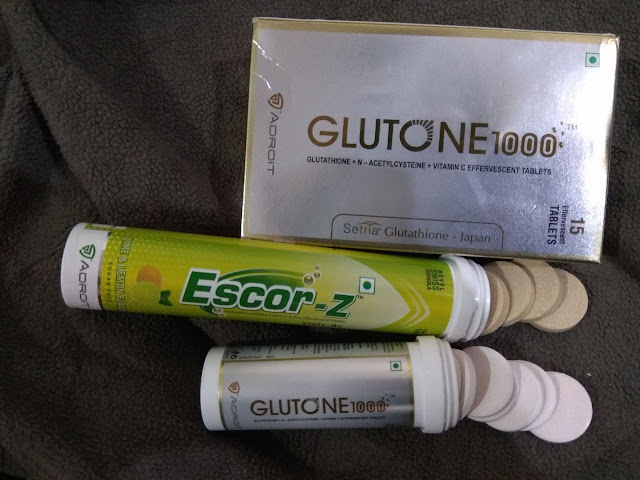 The world best Glutathione, “SETRIA Glutathione”, Glutone 100, Glutathione, N-Acetylcysteine, and Vitamin C Effervescent tablets. If you want to ensure healthy aging then Glutathione should be consumed orally. Actually, the Glutathione levels in the body decline with age so we need to take it regularly in order to get desired results and have younger looking bright and glowing skin. There are three main key ingredients that include L-Glutathione, Vitamin C and N-Acetylcysteine. Let’s see them one by one. L-Glutathione which improves the tone of the skin, helps in skin lightening and it works as a master anti-oxidant thus reduces wrinkles. If we take it in higher doses then we can get faster results. Vitamin C is a water soluble vitamin and is very helpful in the absorption of Glutathione. Helps in the normal body immune functions and works towards collagen synthesis in the skin. Next in the list is N-Acetylcysteine which is a precursor of Glutathione and acts as an anti-oxidant. This reduces free radicals and makes improvement in the bad Glutathione levels. How much to take and how to use it? Generally a user should take as per the Healthcare professional directions or regularly take 1 tablet each of Glutone 1000 and Escor Z in the morning every day. Simply put the tablets in 120ml of water and let the effervescent tablet dissolve completely in the water enjoy your tasty fizzy health drink. The tablets may show color spots that are brought about due to the nature of ingredients. It does not change the efficiency of the product or even the taste. Escor Z is very rich in Phyllanthus Emblica extract and is considered as a rich source of Vitamin C. Escor Z helps in fighting free radicals; it boosts collagen and also makes the skin to glow. I don’t have any doubt in saying that it is one of the best and the right choice of daily health drink since it is presented in an effervescent format. Some of the benefits of Escor Z consist of photoaging, skin lightening, neutralizing of free radicals and glowing skin due to production and transfer of anti-aging protein. This product which comes in the form of vegetarian tablets which is manufactured in India is well suited for all skin types and can be used by men or women is one of the best products that can be orally consumed for skin lightening thus making it very easy and convenient to use. All in all glowing skin is one of the essentials to look good. And you can without a doubt make your skin light in color and glow with the regular use of Glutone 1000 and Escor Z. 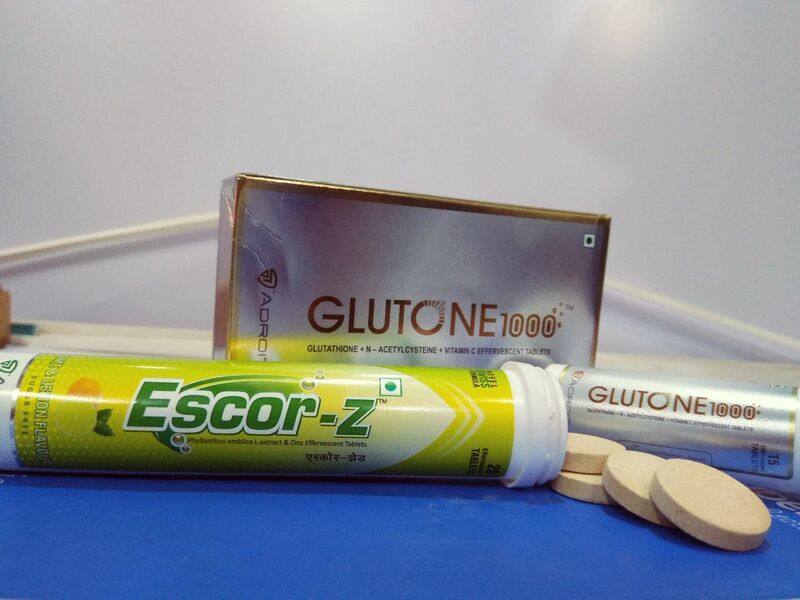 So friends, it’s time to take care of your skin with the help of this master skin lightening and brightening combo GLUTONE 1000 with ESCOR Z. Have you tried it yet? Do try it! You will love it for sure!